AIB’S CEO DAVID DUFFY is ‘not aware of’ any investigations undertaken by the bank into the conduct of former directors at the institution. The chief executive, who is believed to have an annual salary in line with the Government pay cap of €500,000, made the admission when speaking before an Oireachtas Finance Committee this afternoon. The exchange followed a question from Labour TD Arthur Spring who said that in some cases these people are getting “handsome and rather brilliant pensions”. “Any institution which has been brought onto the rocks and has been saved by the people should internally have done an investigation into why there was such a mess made and who is responsible,” he said. Well to be honest deputy I’m never going to enter into a discussion about judging people that I don’t know, wasn’t a part of, wasn’t engage in a process with, it wouldn’t be appropriate. It would be therapeutic but unfair. Duffy was earlier questioned by Fianna Fáil’s Michael McGrath about pledges that were made by the bank to write to former directors at the bank requesting them to engage in a process to forgo some of their pension entitlements. McGrath cautioned the AIB chief that he was not expecting any names of those who responded to the requests but believed some information should be forthcoming. Duffy said that he could not provide any information on the various correspondences because many of the directors did respond but did so only on the basis that their participation was confidential. “We are happy that there was a significant basis of engagement,” he said refusing to give any details. When pressed he was reluctant to enter in discussion on the matter. “As long as we go down the path of engaging it gives us something to discuss,” he said. Email “AIB chief is 'not aware of' any internal investigations into former directors”. 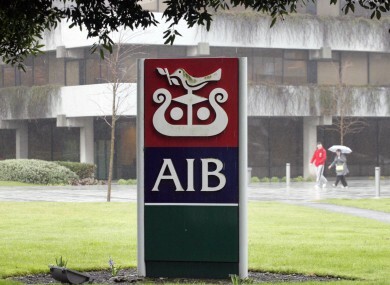 Feedback on “AIB chief is 'not aware of' any internal investigations into former directors”.